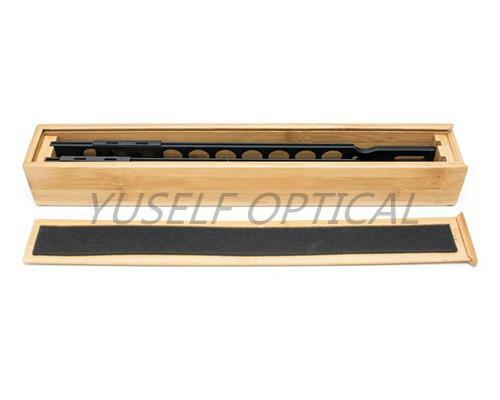 Contains two iron racks that come in a deluxe bamboo case to protect from dust. 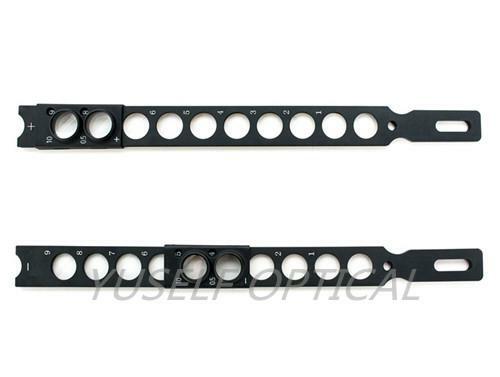 One rack contains 9 stationary 22mm diameter plus lenses (ranging from +1.00D to +9.00D) with two sliding 22mm diameter minus lenses with one at +0.50D and the other at +10.00D. The second rack contains 9 stationary 22mm diameter minus lenses (ranging from -1.00D to -9.00D) with two sliding 22mm diameter minus lenses with one at -0.50D and the other at -10.00D.